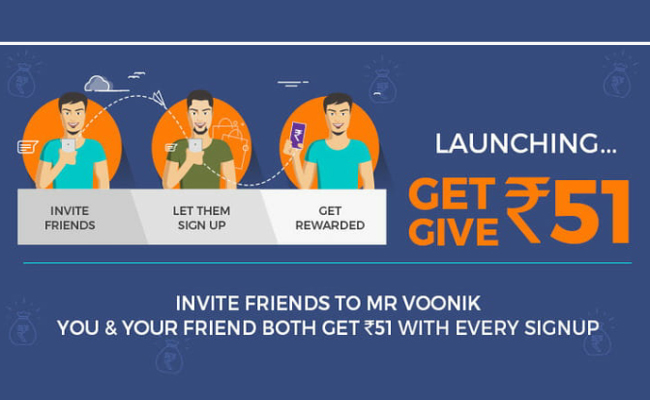 Mr Voonik App Refer & Earn – Get Rs. 51 on Signup | Get Rs. 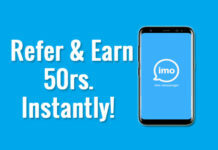 51 Per Refer. 2. Install and Open Voonik App. 4. You will get your signup bonus within 1 hours. 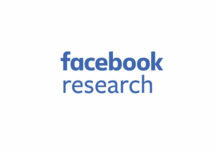 Go to refer and earn section and share with your friends. When your friends put your refer code while register. They get Rs. 51 you get Rs. 51. A successful download of and sign-up on the App by the Invitee shall entitle him / her to receive Mr Voonik points worth 51. When the Invitee signs up on the App, the Referrer shall receive Mr Voonik points worth 51. 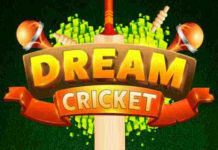 The Referrer shall be able to redeem the points gained in sub-clause (ii) above within one hour of successful sign up. These points shall remain “on hold” throughout that time period. The Invitee shall be eligible to receive the referral reward, if and only if the following conditions are met. The device on which the Invitee downloads the App, must not have installed the App earlier. The Email ID and/or Phone number through which the Invitee signs-up on the App, must not have been used for signing up on the App earlier. The mobile number provided by the Invitee for receiving the OTP must not have been used for receiving an OTP for this program earlier. Upon successful sign-up and provided all the conditions above are met. The Invitee shall receive the referral reward within one hour of sign-up. Mr Voonik retains the right, at its sole discretion, at any time and without prior notice, to modify this waiting period. The Invitee will be able to redeem these points immediately after receiving them. Mr Voonik retains the right, at its sole discretion, at any time and without prior notice, to modify this waiting period.